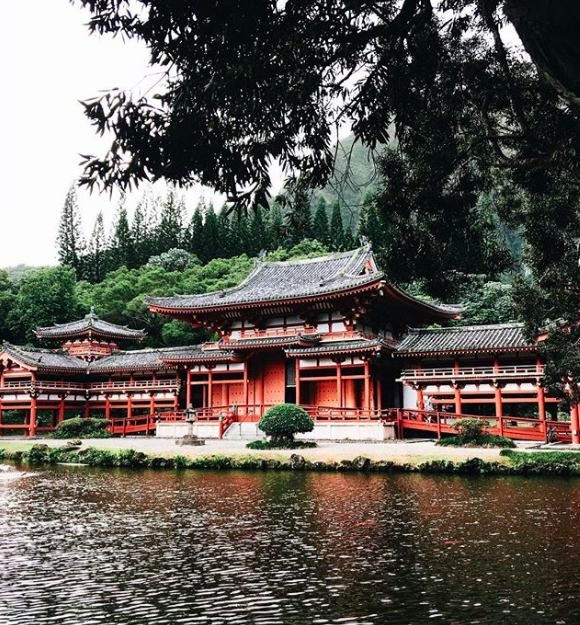 What to expect: Located at the bottom of the Ko'olau Mountains, Bydo-in is a non-practicing buddhist temple that allows visitors to walk around, and explore. 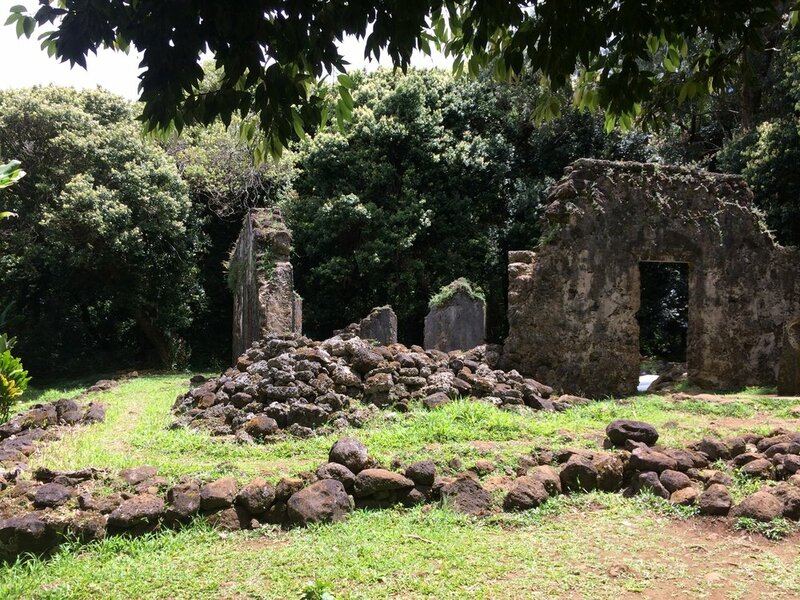 In 1968 the temple was built to commemorate the 100-year anniversary of the first japanese immigrants to Hawaii. 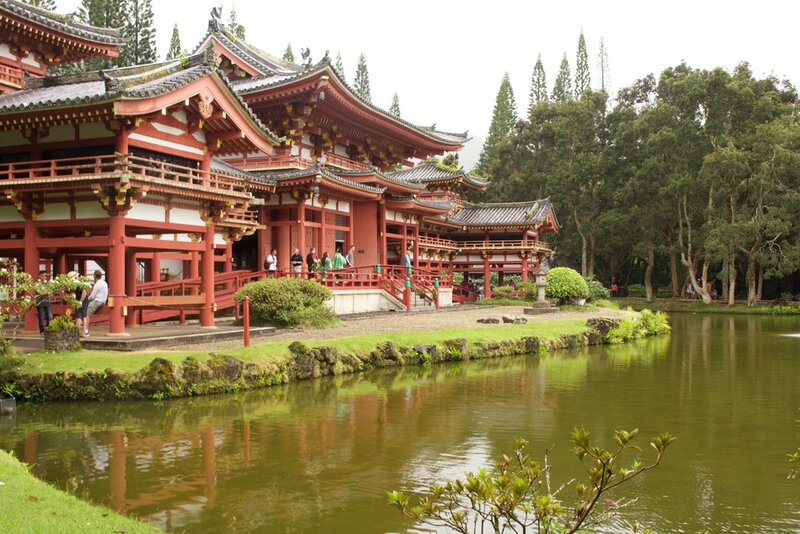 The Byodo-In Temple in O'ahu is a smaller-scale replica of the over 950-year-old Byodo-in Temple, a United Nations World Heritage Site in Uji, Japan. Located in the Valley of the Temples, the architecture and the landscape boast gorgeous views and many at the activities. There is wild peacocks patrolling the temple, a giant reflecting pond full of Japanse Koi fish, and even a giant gong that you can ring aloud. The best part of this visit is the ability to go inside the temple and light incense on the alter to pay respects to your loved ones. 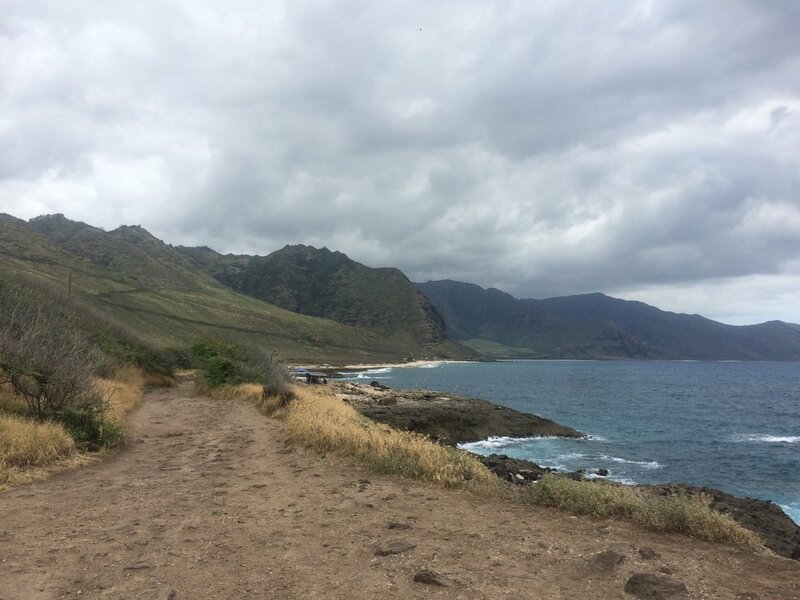 Directions: The temple is located at the end Avenue of the Temples, which is the main road through the valley.